The cause of chronic tinnitus suddenly becoming worse ranges from more mental stress than usual to a brain tumor. 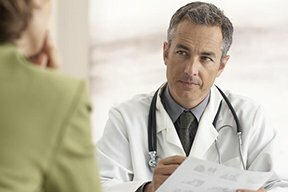 “Typically, there are triggers that can cause the perception of tinnitus or make it worse,” says Rivka Strom, AuD, CCC-A, Director of Audiology, Advanced Hearing NY Inc.
“Stress due to a life event change, mood disorders or a sudden change in hearing are key factors for those who suffer from chronic tinnitus,” continues Dr. Strom. Though the exact mechanism for how emotional stress causes tinnitus to become—or seem—worse is not understood, it has been well-established that an increase in life stress can make tinnitus seem worse to the patient. Next, a recent exposure to a loud environment can damage the delicate nerve cells inside the ear, leading to more hearing loss, though not necessarily perceptible to the patient. The noise event, however, can also worsen a pre-existing chronic tinnitus. A worsening of an undiagnosed TMJ disorder can also certainly aggravate pre-existing tinnitus. Sometimes, the reason why one’s long-term tinnitus suddenly becomes worse or more loud is not known, despite a thorough examination. What is this brain tumor? It’s called acoustic neuroma. It develops in the inner ear canal, but technically it’s a brain tumor and can encroach upon the brainstem and cause serious problems. The good news is that this brain tumor is benign and thus, cannot spread to other parts of the body. But if it’s left untreated, it can cause life-threatening pressure on the brainstem. Keep in mind that long before this would ever happen, the tumor would have already caused other symptoms that would have led to a diagnosis—and hence, treatment. Acoustic neuromas cause tinnitus on one side, unless you have a genetic disorder called neurofibromatosis type 2 (which is usually diagnosed well before adulthood). Common symptoms of an acoustic neuroma (also known as a vestibular Schwannoma) are the one-sided tinnitus, one-sided hearing loss and dizziness, though not all three symptoms may be present at the same time or at all.